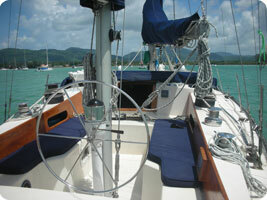 Emerald Blue is a modern 48ft S&S Classic designed by arguably the worlds most famous yacht designer Olin Stephens. She is strong, seaworthy, fast and beautiful. Emerald Blue turns heads wherever she sails and her crew are often to be seen collecting prizes on the podium at Regattas and club races. 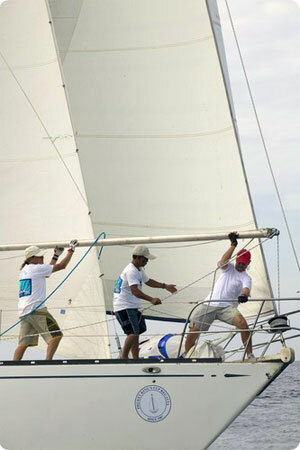 2012 King’s Cup: in the modern classic class, Emerald Blue won Line Honours every race. 2nd overall on handicap. 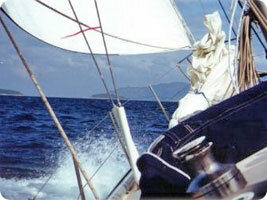 Its a modern 48ft S&S Classic designed by arguably the worlds most famous yacht designer Olin Stephens. This S&S 48 turns heads wherever she sails and her crew are often to be seen collecting prizes on the podium at Regattas and club races. 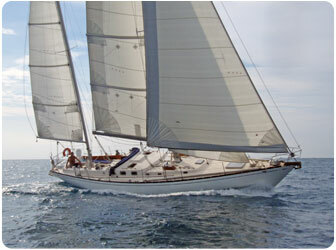 its a modern Classic 48ft S&S designed by arguably the worlds most famous yacht designer Olin Stephens. 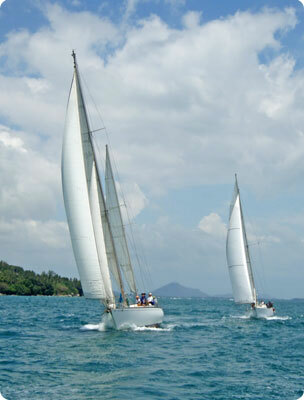 King's Cup: in the modern classic class, it won Line Honours every race. 2nd overall on handicap.